Uses RK3288 Quad-Core Cortex-A17 CPU, up to 1.8Ghz , integrated Quad-Core Mali-T764 GPU. 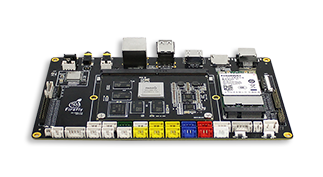 Onboard 4G LTE interface, multiple display interface and serial port. Support Android/Linux/Ubuntu system. It can be quickly applied to a variety of industries.